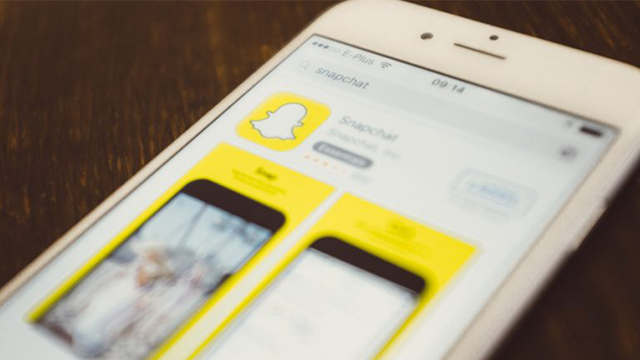 Snapchat has seen tremendous growth since launching a few years ago, and at this point, it claims to have more than 9,000 snaps per second, totaling more than 8 billion video views a day. A lot of B2B and B2C businesses now view it as a seriously good way to engage their target audience. I started using Snapchat approximately four months ago, and have experienced exponential lift in direct engagement with my audience. It’s allowed me to connect directly to followers and have one-on-one meaningful conversations, with the number of replies sometimes exceeding 100 a day. You too can work toward that same kind of engagement and success and beyond, with these five tips for getting started on Snapchat. 1. Create an intro and 'outro' for Snap Stories. Your Snap Story is made up of your images and videos for the day, and, like any story, needs a strong opening and a great close. Justin Kan, who's founded live video platforms, starts out his stories with an image and the text “What up Snaps!” His intro signals the start of his multi-snap Story. That intro has also turned into a Snapchat catchphrase, so to speak. When you see it, you know it’s his intro and you know it’s Justin. You should also close your snap with something creative. Make a simple snap that gives your followers an opportunity to process what you shared and spurs them to do something, like register for an event, snap back or follow you on another channel. 2. Promote your Snapchat to your other social channels. When you’re just getting started, you’ll be a little shy on followers. Don’t just tell your fans on other networks to join you on Snapchat; show them what you’re up to. Save your snaps to your device, then share them out with your Snapchat ID. You can also take your Snapcode and turn it into a creative image to use as a profile picture for all of the various places where your fans engage with you: Twitter, Facebook, Instagram, etc. The Snapcode makes it easy for fans to quickly connect with and add you on Snapchat. Morgan Brown, co-author of Unlocking Growth, does an excellent job of cross-promoting his Snapchat to his Twitter. In an article for Snapchat Strategy, Jennings also shares some great examples of how you can cross-promote with your Snapchat content. When you promote your Snapchat, be sure to tell your followers to introduce themselves. Every few days, I ask my new friends to say ‘hi’ and introduce themselves. This is a great way to jumpstart that one-on-one engagement and create strong relationships. Your snaps start disappearing at the 24-hour mark, and they’re gone forever, so you want to make a habit of posting a few times each day. This keeps the content fresh for your audience. Remember, they get a notification every time those they follow add a new snap to their stories. 4. Mix up your content. You’ve got two ways to post: pictures and video. Beyond that, there are a lot of filters and overlays that you can play with, along with text and drawing. Even the face filters give you an opportunity to be unique and do something different. Mix up the content you’re posting and have some fun with it. Your fans will enjoy the variety and it adds more vibrancy and life to your Snapchat Stories. 5. Step outside of your comfort zone. If you look at some of the awesome marketers and brands currently on Snapchat, you can see that it’s a great platform for trying something completely new without a lot of risk. You don’t need to worry about getting your snaps perfect, either. Great, value-laced snaps are largely dependent on how your audience responds to what you’re sharing. Stepping outside of your comfort zone will go a lot more smoothly if you focus on using it as a means for creating a human connection rather than just another place to provide tips and advice. Don’t be afraid to do something innovative or interesting to catch the attention of your followers. You shouldn’t feel pressure to try to create a strategy when you haven’t tested the platform yet. Try a few things and see what resonates.